Amaze has completed its digital transformation of Childline, the 24-hour counselling service for children and young people provided by the NSPCC. 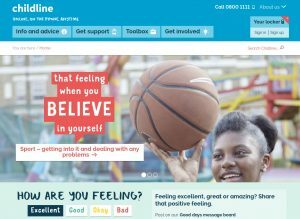 Marking Childline's 30th birthday this year, Amaze and the NSPCC have worked to create a "seamless online experience" across a range of platforms, including the integration of its own call centre workflow systems. The NSPCC selected Amaze and Episerver after a competitive pitch last year. With 750,000 registered usres and a network of 1,500 volunteer counsellors, Childline required a bespoke solution, capable of guaranteeing the security and anonymity of users. As such, Amaze retired Childline’s existing MOSS system in favour of new Episerver 8.5. and Microsoft Dynamics Case Management. The new, fully responsive platform with enhanced SEO visibility, together with the introduction of new, self-help and peer-to-peer features to the platform, enables children to access self and counsellor-led therapies across a range of devices. Custom-built tools include synchronous and asynchronous chat, plus emotional indicators and therapeutic tools such as the bespoke and innovative Drawing Tool to help service users express their feelings if they cannot convey their thoughts easily through words. Helena Raven, associate director at the NSPCC, said: “Working with Amaze and young people to design this website was an exceptional experience. We knew that we needed to create something that was technologically robust and able to safely deliver the vital service that so many children and young people need. Natalie Gross, CEO at Amaze, added: “We’re delighted to launch Childline’s new, innovative and ambitious platform. Childline offers such an important service to children and young people and we’re proud to help provide a digital service that safeguards users, providing essential therapeutic support to those in need.